Schrodt, Barbara. "Petra Burka". The Canadian Encyclopedia, 04 March 2015, Historica Canada. https://www.thecanadianencyclopedia.ca/en/article/petra-burka. Accessed 24 April 2019. 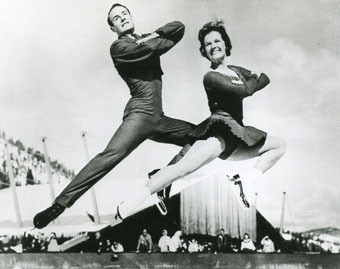 Petra Burka, figure skater (b at Amsterdam, Netherlands 17 Nov 1946). Skater Petra Burka (photo by D.G. Newman). Petra Burka, figure skater (b at Amsterdam, Netherlands 17 Nov 1946). 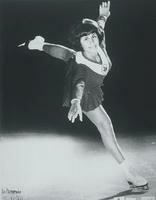 While competing in the 1962 Canadian figure-skating championships at age 15, Burka became the first woman skater to complete the triple salchow jump in competition. In 1964 she won the Canadian championships and placed 3rd in the Olympics and the world championships. Burka won the 1965 Canadian, North American and world championships. She received the Lou Marsh Trophy that year as Canada's top athlete. 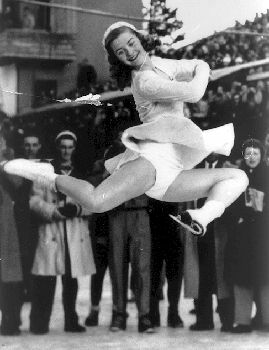 After a 2nd-place finish in the 1966 world championships, she turned professional and toured with an ice show until 1969.